In the simplest terms, a seller’s market is one in which there are more buyers than sellers. A smaller amount of homes for sale – whether newly built or currently owned – means fewer choices for buyers, and more buyers interested in each house that is available. When buyers have limited options, some homes move faster than they ordinarily would. Sellers are better able to command a full market price for their homes – and sometimes over the asking price if there are multiple buyers interested in the house. In this market, it’s the home sellers who are setting the terms. In the past, buyers were able to command multiple contingencies prior to close – including full repairs both structural and cosmetic, updated landscaping and fences, and even new driveways or exterior lighting. Now, many sellers are in a position of strength. Tight markets have led to bidding wars, and buyers are more willing to make major concessions to obtain a house, including forgoing repair requests or waiving appraisal contingencies. What Does Low Inventory Mean? The Las Vegas housing market was hit harder by the housing bubble and subsequent Recession of 2007-2009. Many new build projects and even phases of subdivisions were abandoned, as contractors tried to get out from under a saturated market. Contractors are savvier now, however, and new build projects are slower. This, combined with the small amount of currently owned homes for sale in Las Vegas has created a seller’s market. Housing prices in the area are stable, and buyers are ready, but with a small number of homes to choose from – at every price point – buyers are having a difficult time getting to closing. A combination of lower but stable mortgage rates and relaxed home loan requirements has produced a new crop of buyers over the past several years. However, a small inventory and increasing home values have made the market tight for those wishing to buy a home. Buyers are eager – and competing for the few homes in the market. The home buying process is taking longer on average – although buyers are starting earlier in the “buying season” to ensure they aren’t missing any available house, the competition is resulting in longer time between deciding to buy and closing. Many real estate websites are reporting increased traffic to their sites from the first of the year. The “buying season” is generally higher between March and June, but many buyers are getting a jump on their competition. Real estate agents, too, are receiving more inquiries than usual in the first quarter – typically a slower time for home sales. As the number of potential buyers grows, the number of available homes has stayed the same, prompting some unconventional methods of finding homes, such as blind offers written by real estate agents to homeowners on behalf of clients. Does Tight Inventory Favor Sellers? Although a written offer from a potential buyer can mean smooth sailing to the closing table, between the offer point and keys changing hands, there are a few things that can cause a sale to fall through. One common reason is buyers requesting multiple concessions from the seller – fixing certain things in the home, adding to or updating the exterior, and even asking that certain appliances and fixtures remain in the house. However, with enough buyers to choose from, sellers don’t always have to agree to concessions in order to move their home. Tight markets have led to bidding wars, with the result of sales over asking prices. Buyers are also more willing to make major concessions to obtain a house, including forgoing repair requests or waiving appraisal contingencies. While this doesn’t mean that every mutt of a house will find a buyer, it does take some of the onus off the seller to make the home immaculate prior to listing. In fact, although a full disclosure of the condition and history of the home is still required, correcting some of the issues prior to listing may not be necessary. Even a home inspection that turns up some minor flaws may not be a deal breaker if the buyer has lost out on previous offers. As the economy has recovered – especially in Las Vegas – the home buying market is growing. However, as the number of potential homeowners increases, the amount of for-sale houses hasn’t kept up with the demand. While the inventory for larger or higher-end homes remains tight, now is the time to sell. Buyers looking to upgrade are in a better position than in years past to financially be able to do so. Empty nesters looking to downsize or sellers seeking lower property tax counties should be able to find no shortage of buyers for their type of home. Incomes are growing, and people are feeling more confident about the stability of their jobs. As unemployment dips below four percent for the first time since the 1960s, buyers – especially those in dual-income families – are in a better position than ever to secure a home loan. The more favorable terms may indicate more buyers in the market – and also those with the ability to purchase “more house” than in years past. For sellers in affluent neighborhoods, or those selling houses that aren’t starter homes, this means that there’s more interest in your house. Can “Buyers Panic” can lead to fast sales? With interest rates so low, and the market in many areas very tight for buyers, a phenomenon called “buyers panic” may set in. This means that buyers are afraid that if they aren’t able to purchase a home now, they may not be able to. A seller may see unprecedented offers for their home – offers substantially above market value; those with a higher down payment than the typical 20 percent; or even buyers who are close to purchasing sight-unseen as soon as a new listing hits the market. Be wary of the desperate buyer, however; while it could indicate a quick sale, with little effort needed for repairs and few contingencies, it could also indicate a buyer with unstable financing and the deal could fall apart at the closing table. While a quick, incredibly high offer is tempting, defer to your listing agent and follow their advice. For a quick snapshot of your home’s value, this instant home value calculator can give you an idea of where you stand. 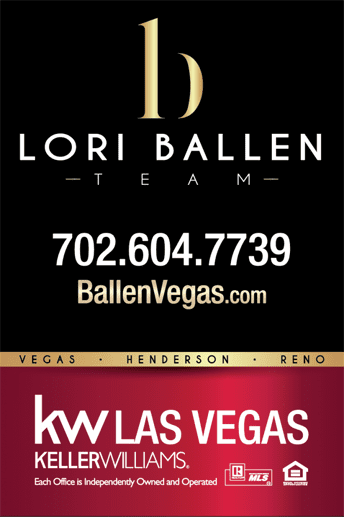 Although there are many new neighborhoods under development in the greater Las Vegas area – especially in the Summerlin area – the ratio of new homes coming to the market versus the number of ready buyers is still creating a seller’s market. Contractors are selling homes at a faster rate, and prices are remaining fairly stable. For those planning to sell their Las Vegas home, now is definitely the time. Are cash investors are making a tight market tighter? Real estate in the greater Las Vegas area has long been a solid market for investors. Between house “flippers”, a new wave of contractors creating fresh subdivisions, and the typical housing ebb and flow, all-cash investors are hitting the market hard. These types of home buyers are purchasing houses as a business, versus families looking to buy their own home. As a result, investors are edging out primary homeowners, making a tight market even tighter. Sellers tend to favor an all-cash offer, even if it’s slightly below asking price, simply to move the house quickly. Buyers with the ability to make an all-cash offer – that is, one that doesn’t require financing from a home lender – are growing in number. In fact, according to the National Association of Realtors, cash buyers jumped to 22 percent in November of last year, increasing from barely 20 percent in October. And these numbers are continuing to rise, edging out first time home buyers. With their ability to quickly move on a property before first-time buyers have even stepped a toe in the waters, cash buyers are snapping up homes left and right. If you’re a seller, accepting an all-cash offer is a no-brainer. You may see more of these come your way – and even if they’re a little below your listed home price, you can be assured that you’ll walk away with a guaranteed payday. Inventory is expected to gain in the fourth quarter of 2018 – the first time since 2015 – so as a seller be prepared now to take a quick offer. Low-interest causing a seller’s market? The current interest rates for home mortgages is a little over 4 percent for well-qualified buyers. Although mortgage rates aren’t expected to spike this year, they are expected to gradually increase over the course of 2018. According to the Mortgage Bankers Association, 30-year fixed-rate mortgages are likely to increase to 4.6 percent by the end of this year, with a further increase up to 5 percent in 2019 and 5.3 percent in 2020. Lower interest rates now coupled with the prediction of their rise in the next eighteen months have given buyers a sense of urgency to secure their home loans now before the rates begin to move up. And what is good for home buyers is also good for you, as the home seller. Not only will you have buyers ready to sign, but your own next home purchase may be locked into a lower rate, as well. A difference of just one percent can make a substantial difference in your home price – making now a great time to be both a seller and potential buyer. Millenials – the beleaguered, still living at home generation – are finally ready to commit. As the job market stabilizes and their incomes increase, millennials are in a better position to buy a home. This particular generation has been saddled with student loans, a questionable job market, and a lifestyle that isn’t geared toward settling down early. As older millennials begin marrying and having children, however, expect to see a surge in first home buyers from the under-thirty crowd. Economic conditions are ripe for investment-wary millennials to take the plunge into homeownership. In fact, experts predict that millennials will make up a substantial piece of the buyers market this year – up to 43 percent! This is an increase of 3 percent over last year, a substantial addition to the buying market. There are many components that go into the dynamic of a seller’s market. From tight inventory to more ready buyers, finding the best time to sell a home can depend on the conditions of your specific region; however, many of the things above are fairly standard. In Las Vegas, now is the time to sell. It’s a seller’s market, and many people may not realize a greater profit on their home.